A portrait of an Island. Omey is a small tidal island off the Connemara coast. Today, there are no full time residents left on the island – as emigration and economics have siphoned families to the mainland and beyond. Crannóg Books and author James Morrissey came to us with a selection of personal stories and ephemera from former inhabitants that formed a touching social history of this special place. We were inspired by the human stories told in photographs and letters. 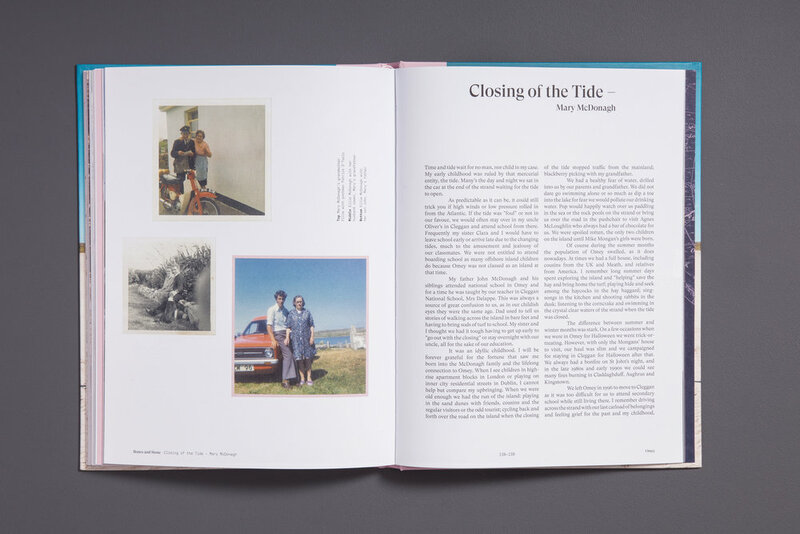 This flotsam and jetsam of an island culture – and the tides that constantly open and close Omey inspired our approach to the book. We travelled to the island to photograph the silent changes of the tides. This imagery gave us a visual spine for our story. 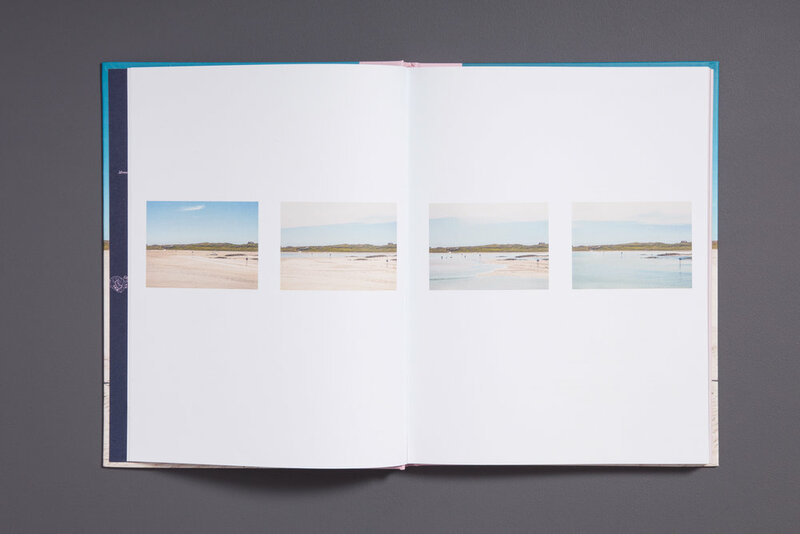 The shifting indents of the typography throughout the book echo the constant shifting of the shoreline. The ragged left edge of the right-aligned text echoes the encroaching tidelines that defined life here.